We have been highly impressed with their tax planning and advice, which has saved us thousands. 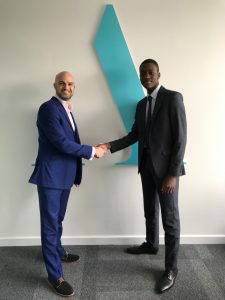 Recently, Aston Shaw opened its doors to Isaac, providing him with an insight into what it’s like to work at a modern accountancy firm and giving him the chance to experience life in a busy office environment. Aston Shaw has long been a supporter of work experience, we believe it’s a great way for young people to gain the experience that they need to make informed decisions about their future. Every person who begins work experience with us will have the chance to try their hand at a variety of different jobs. For young people to get a real taste of the work place, we firmly believe that they need to be given meaningful tasks. As a result of this belief, Isaac has had the opportunity to experience a day in the life in a variety of different departments within the firm. Isaac had this to say about his work placement at Aston Shaw “When I first received news that I had secured this placement, I was excited, but I was also anxious about what the following two weeks would hold. However, I was pleasantly surprised – my experience was the exact opposite of everything I feared it would be. I thoroughly enjoyed getting to know my new colleagues and was interested to see just how many different areas there were to work in at the firm. We wish Isaac every success in the future and we look forward to welcoming next year’s work placement.